nations, baptizing them in the name of the Father, and of the Son, and of the Holy Ghost..." (Matt. 28:19). witness with our spirit, that we are the children of God..." (Rom. 8:16). Here are the references to the Spirit of Christ which I found in the Bible. you and preserve your spirit unto eternal life. "And because ye are sons, God hath sent forth the Spirit of his Son into your hearts, crying, Abba, Father." to cry to Christ, "The everlasting Father," (Is. 9:6), Abba (my love and my trust), Father. death." (Phil. 1:19-20). When the Spirit of Christ is within you, your body (in deeds) will magnify Christ. suggestion of the Holy Ghost as the Spirit of Christ. Ghost, whose Spirit dwelt within Christ during His earthly ministry. by the Holy Ghost." (2 Peter 1:21). Christ, the Holy Spirit, being outside Christ, could not be called the Spirit of Christ. The rarely used term "Holy Spirit" tells us quite a lot. Here are the scriptures. from God to those who ask. "And that ye put on the new man, which after God is created in righteousness and true holiness. one to another, tenderhearted, forgiving one another, even as God for Christ’s sake hath forgiven you." who fall into sin, but only those who love their brethren in Christ. despising God's gift of the Spirit, and God Himself. In summation: the Holy Spirit is associated with the presence of God. The Holy Spirit dwelt within Moses. grieved and vexed with those who refuse to be guided by God's Law and Christ. a basis to contrast the Holy Spirit with the Holy Ghost. shall dwell safely: and this is the name wherewith she shall be called, The Lord Our Righteousness." (Jer. 33:15,16). This is the personal advent of the Holy Ghost. Although there are many scriptures about the Holy Ghost, I will only quote the most important. condemn those who despise Her and speak against Her. take Christ's message to the world. to teach the Gospels with power. the Son of God." (Luke 1:35). this for the Comforter, who is the Holy Ghost, to explain. Now let's consider the most important scriptures that reference the Spirit of God. God moved upon the face of the waters." (Gen. 1:2). The Spirit of God was present at the creation. God's purposes, in this case building the wilderness tabernacle. Spirit causes a person to prophesy. Spirit of God can be a life altering experience. evil spirit. Those blessed with the Spirit of God must be obedient to God in all things. God which rests on His anointed kings. Spirit of God, actively seeks to educate those who are willing to repent and reform in the truth of the Lord. 144,000 in the cities of the world. upon His head; and He put on the garments of vengeance for clothing, and was clad with zeal as a cloke. and reformed people. The gifts of God's Spirit on the 144,000 will be inherited. of God's Spirit are not limited to the seed of Israel, but will fall also on those who serve them. and do them." (Ez. 36:27). The Spirit of God within people causes them to be obedient to God. understanding and obedient, they will find God responsive to their prayers. 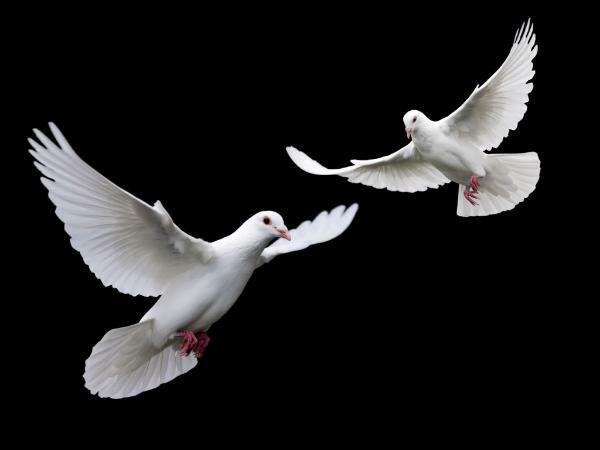 of God showed Herself in the symbol of a descending dove, and spoke to claim Her Son. to intercede for those God deems worthy, the saints. prophecies of the Bible, are revealed to mankind by the Spirit of God. spirit, saith the Lord of hosts." (Zech. 4:6). because ye are sons, God hath sent forth the Spirit of his Son into your hearts, crying, Abba, Father." (Gal. 4:6). Clearly, the Spirit of adoption refers to Christ. the wife of God, the Holy Spirit Mother. Ghost as the female counterpart of Christ (His Spirit). (Holy Ghost)..."" (Lois Roden, "The Bride Of Christ," 1986, p. 9,10). men (and women) would feel a sentimental desire to see a pretty little girl among their children. be surprised that God has chosen to have both a wife and a daughter.